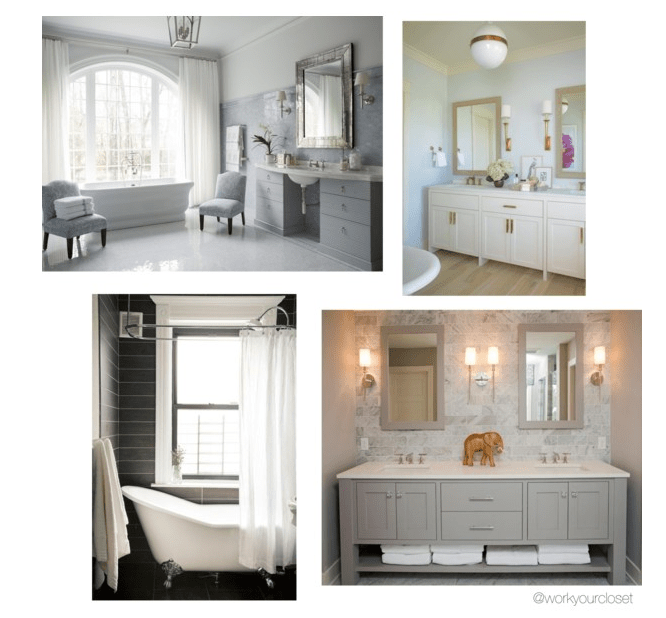 To say I’m obsessed with our master bath is an understatement. I can’t wait to share it all when it’s finished. Yes, I’m counting – 8 weeks to go. But to get an idea we chose whites, greys, and light browns. Very neutral bathrooms that hopefully stands the test of time.